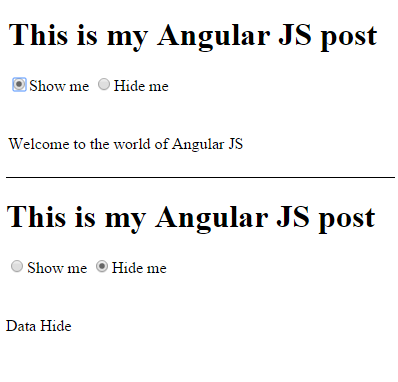 This is my second post on angular js. In this post I have create 2 radiobutton and will show hide a div area on basis of selection. Below is the complete html code.